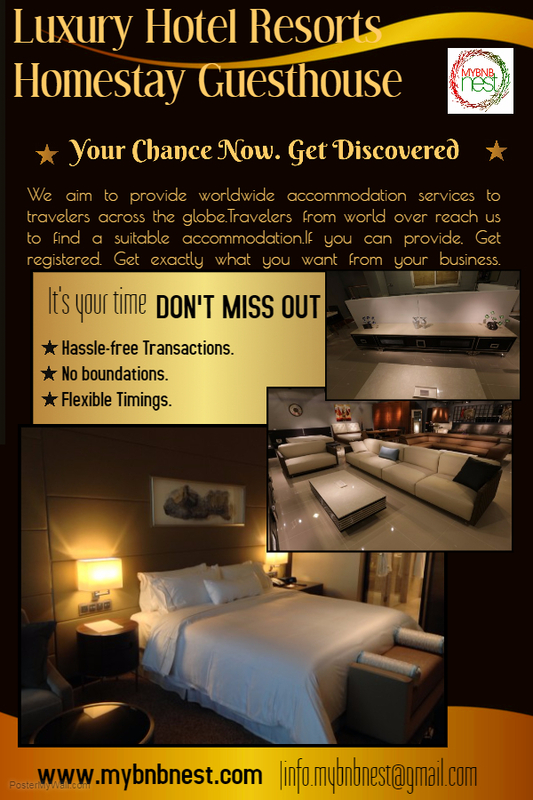 MybnbNest aims to provides worldwide accommodation services to travelers across the globe. Get Registered with us. Travelers from world over reach us to find a suitable accommodation for themselves. Whether you are a village pub, local restaurant, hotel, resort, national chain or independent BNB, we are here to help you get exactly what you want from your business. This is What we do. We are MybnbNest. Just Sign-up for FREE on www.mybnbnest.com and leave rest on us. Host may belong to any country or region.